Naj's Portraits Art page showcases facial pastel portraits by Naj. 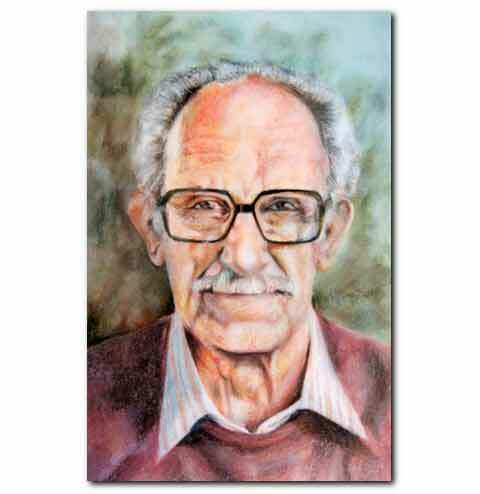 The examples include portrait paintings of people both young and old. 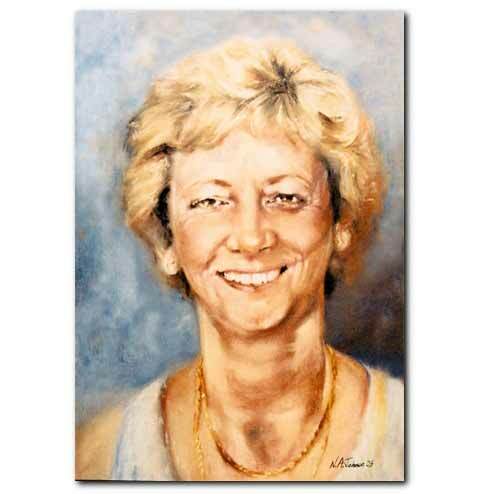 While the examples shown are for head and should portraits, full figure portraits can also be commissioned. 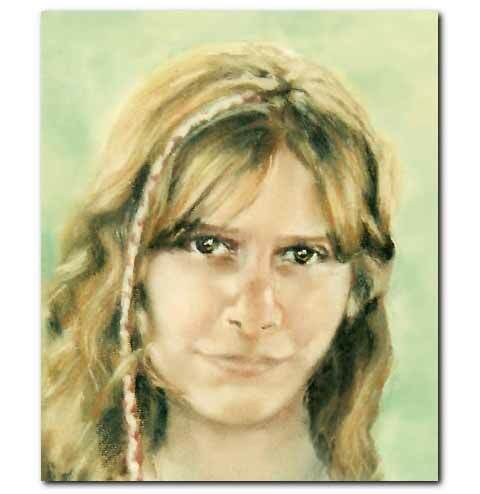 Pastels are the artist's favourite meduim for portraying people, and drawing skin or flesh. All these artworks are on "ingre paper", a specialist fine grain artist's pastel paper. Even after a fixative is applied, pastel artworks can still smudge, so they need to be handled with care when in an unframed state. Pastel portraits will always require a glazed frame. Artists pastels are an archival fine arts medium that will not degrade over time. In the facial portrait examples on this page, notice the background is kept simple in all cases. This maintains the focus on the subject of the portrait. 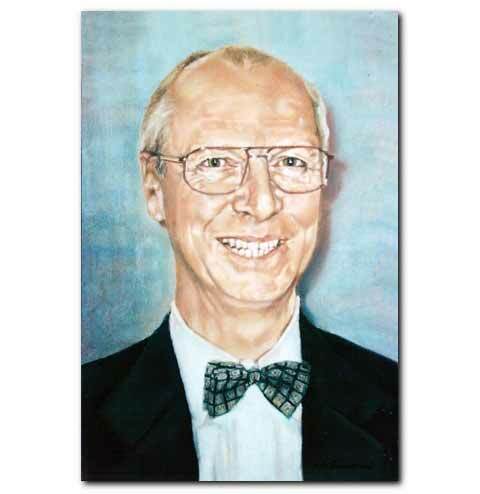 Portrait paintings of people require good quality photographs to work from. Providing the artist with a range of photo's for reference can help in conveying the personality of the subject, and help to give a clear idea of skin tone and eye colour etc. Multiple subjects can make for complex works, especially if referenced from separate photographs. They, therefore, can be more costly than a single facial portrait of the same size. Portraits of people with the mouth closed make for a more compelling portrait, and this is the type of portrait the artist would recommend. Although as you can see from the portrait art on this page, teeth and glasses do not present a problem! 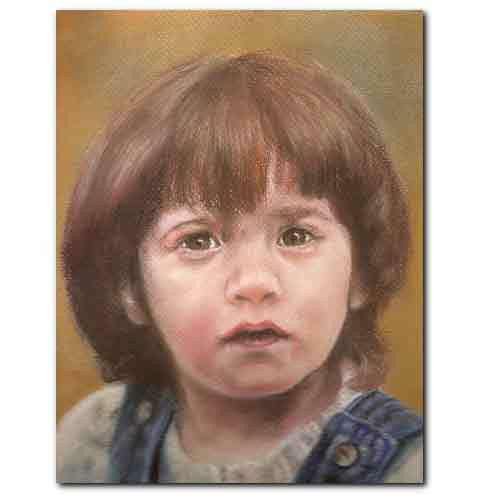 If you are interested in commissioning a portrait art work or have any queries, please contact Naj.